The horses on the farm are massive Percheron draft horses. I am dwarfed by them and to be honest, I am a little nervous when I am standing right next to them. Not enough to run screaming in terror, but just enough to keep a healthy eye on them and to make sure they know I am there. Explaining my own nervousness is to give you some understanding of why I am incredibly impressed by the farrier. He is out to the farm on a regular basis, ensuring that the horses are well shod and have healthy feet. He’s really not that much bigger than me, but he rules those massive horses. They obey him without question. Maybe it’s the routine or maybe his own skill with them is part of the reason they do what he wants. Either way, to see him in action is impressive. To keep the horses still and to support their massive feet, they are led into a frame. 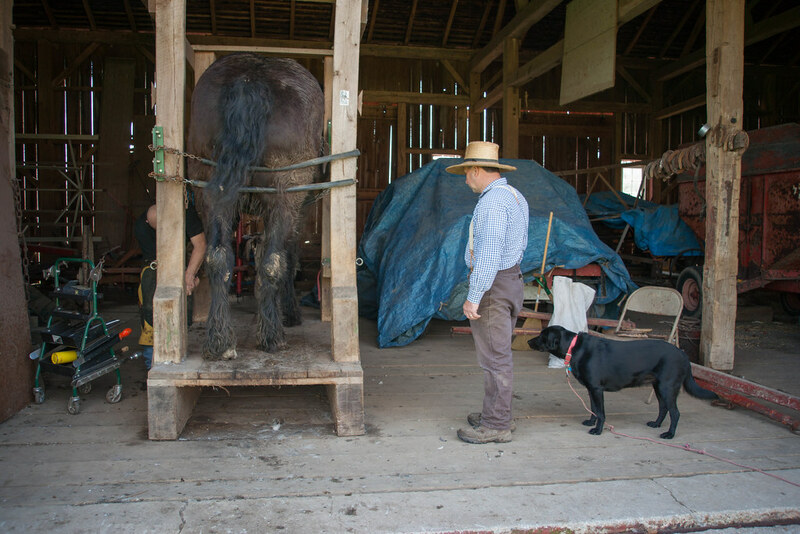 The farrier works one hoof at a time and gives the horse plenty of time to rest in between. I enjoyed the entire afternoon of watching him in action. 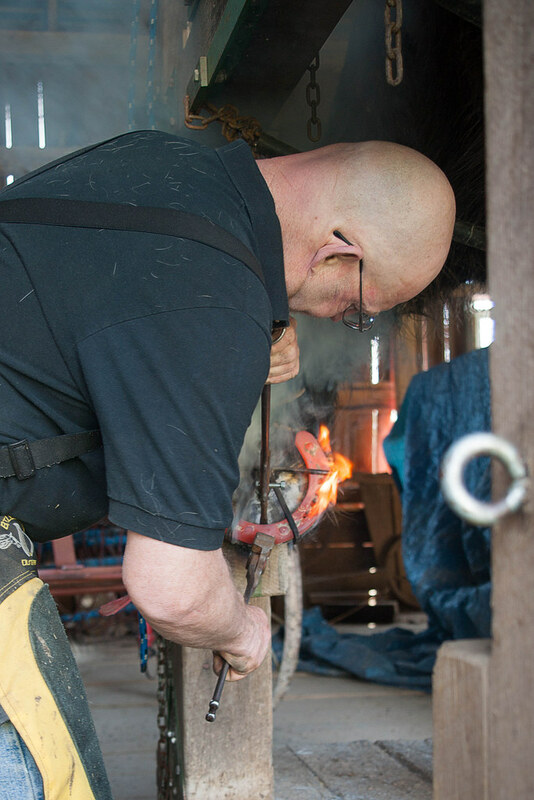 I’ve included some extra photos below so that you can see a little more of the farrier in action. And, as a bonus, you can see his dog AJ…and our farmer, Jim. Thought provoking story Tim. And great shots to illustrate it.